The Tax Cuts and Jobs Act bill passed in December has enough new provisions and loopholes to confound even the most seasoned tax professionals. But an informational teleconference Jan. 31 jointly presented by the Thoroughbred Horsemen’s Association and National Thoroughbred Racing Association (NTRA) attempted to shed light on the changes that will immediately affect those who either own Thoroughbreds or earn income from racing and breeding. Choices taxpayers will have to make regarding whether they should be classified as individuals, incorporated entities, or a “pass-through” business. The balance between the permanent reduction in the federal corporate income tax rate from 35% to 21 versus the temporary changes in various individual tax rates and brackets that will expire in 2025. The doubling of standard deductions for individuals, which is coupled with a simultaneous limitation in itemized deductions. The repeal of the corporate alternative minimum tax (AMT) contrasted by the modification of the AMT for individuals (with higher exemption limits and a phase-out threshold). “So again, all of these items have to be considered as a whole to know where your personal break point may be,” Bazel said. Bonus Depreciation: An increase in bonus depreciation from 50% to 100% for both new and used property acquired and put into service after Sept. 27, 2017, and before Jan. 1, 2023. Bonus depreciation permits first-year, full expensing for purchases such as yearlings, breeding stock, and farm equipment. Current law provides for 50% depreciation on new property only. The new benefits will be effective at the 100% rate through 2022. Beginning with 2023, bonus depreciation will be phased out at a rate of 20% each year until fully phased out after 2027. 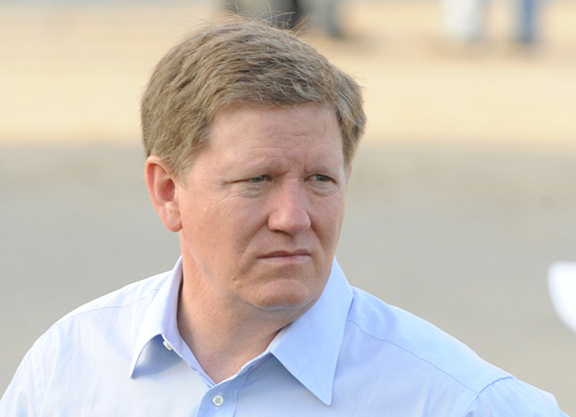 “Now purchasers will be able to write off 100% of all horses purchased, including yearlings and breeding stock…as long as the asset purchase has not previously been owned by the purchaser,” Waldrop said. 179 Deduction: The maximum amount that may be expensed under this provision has been increased from $500,000 to $1 million for new and used property. Additionally, the phase-out threshold for the deduction has been increased from $2 million to $2.5 million. Both the maximum deduction and phase-out amount are permanently extended and will be indexed for inflation. Farm Property: Machinery and equipment used in farming operations will be granted accelerated depreciation with a useful life of only five years and depreciation using the 200% declining balance method. The current law provides for a useful life of seven years and depreciation using the 150% declining balance method. “Those are three important provisions that are used by horse owners and farms that are engaged in the active trade or business,” Waldrop said. He took care to underscore the distinction between “active” ownership versus “hobby” ownership. 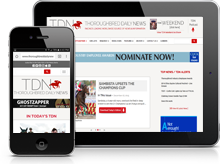 “For years, as many of you know, the thing you try to avoid as a horse owner is being categorized as a hobby owner…in which case none of these provisions [will] apply if [your Thoroughbred activities are] considered by the IRS to be a hobby. Waldrop added that the doubling of the standard deduction amount for individuals “might provide some relief” for hobbyists who are classified as such, but he cautioned horse owners to check with a personal tax professional to clarify individual situations. What ended up getting left out of the new tax law is just as important as what did make it into the package, pointed out Greg Means, principal of The Alpine Group, the NTRA’s Washington, D.C.-based lobbyist. An example Means gave was the threatened removal of language that allows horse racing bettors to deduct gambling losses to the extent of winnings.